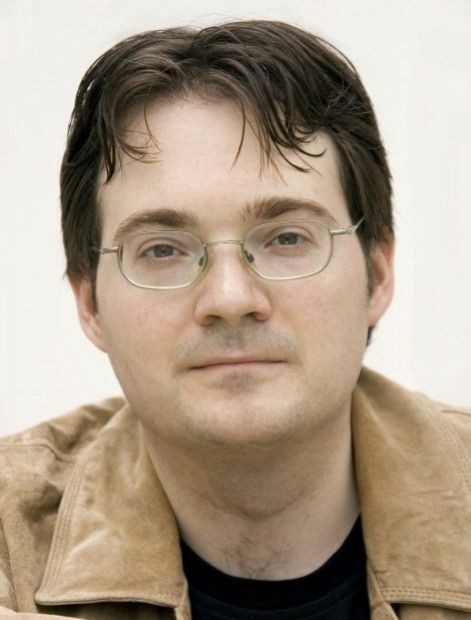 Brandon Sanderson was born in Lincoln and now lives in Utah. He is best known for finishing Robert Jordan's epic fantasy series "The Wheel of Time." Author Brandon Sanderson appears at Utopiales 2010 in France. I will start this review off by saying that I am a sci/fi-fantasy nerd and that I am a Brandon Sanderson “fan boy” in almost all senses. I have been following his career since the mid-2000s and have read all of his work and, in fact, interviewed him a couple of times for the Lincoln Journal Star. He really gained my interest when he was chosen to finish my favorite series of all time -- “The Wheel of Time.” Since that day, I have witnessed the evolution of one of the best epic fantasy writers out there. In 2010, Sanderson released “The Way of Kings,” the first volume of his planned 10-volume epic series called “The Stormlight Archive,” to much fanfare. I read this volume and was blown away with the breadth of information and the planning that would go into such a large story. Sanderson completed “The Words of Radiance,” the second volume, after finishing the "The Wheel of Time" and finally having the time to devote to this project. This was no small undertaking, seeing as this book ended up being more than 1,000 pages long. However, this story is well worth the length of the read. Sanderson has truly brought back the epic fantasy. The story of “Words of Radiance” continues where we left off in “The Way of Kings.” The story follows the main characters -- Kaladin, Shallan and Dalinar -- as they deal with a world that is coming to a crossroads, and the “Everstorm” is approaching. While Dalinar is searching for the Knights Radiant, he has a fledgling Radiant under his nose in Kaladin “Stormblessed.” Kaladin struggles through his dueling sides -- one seeking vengeance for all the wrongs committed against him, and one who wants to do what is honorable. All the while Shallan wrestles with who she truly is and what she is meant to do with her life. Coming into reading this story, I was most interested in what would become of Kaladin, because he was my favorite character in the first book. But in reading this second volume I was enthralled by the continuing story, and specifically the evolution of Shallan. In “The Way of Kings,” Shallan seemed almost to be a throwaway character, and I was sometimes tempted to skip her chapters. In "Words of Radiance," she has become a truly important character; I actually looked forward to finding out what would happen to her. Each main character is developed and expanded on throughout the book, and we can see the interactions not only with other characters but also the change within themselves. The book has a quick and enjoyable flow while moving forward to a satisfying climax that sets up the series as the books move forward. Although long, the book doesn’t waste large sections on mindless details that can bog down the reader. Instead, it almost seemed as though this book was to provide a conclusion from “The Way of Kings” and provided pretty fast-paced action throughout. 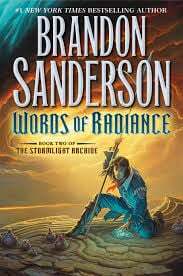 In the end, “The Words of Radiance” is an extremely satisfying read that shows what the beginning of an epic fantasy series should look like. This extremely long book reads like one half its length while keeping the reader's interest the entire time. Knowing that this series will span 10 books, it is easy to wait with baited breath for the next volume. In fact, the conclusion I drew from the ending of this book was to look up the expected release date of volume three. And isn’t that how you judge a series? Michael Mason-D'Croz is a Spanish teacher and JV boys soccer coach at Lincoln Northeast High School.